Meetup/Networking and Team communication done better! Networking and Team communication done better! 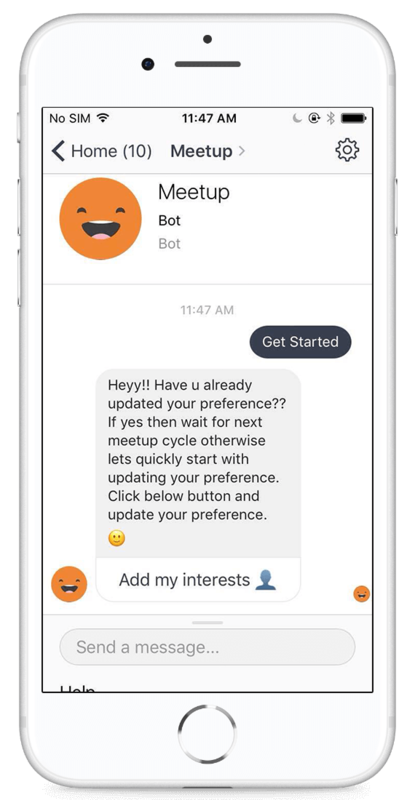 Meetup bot asks all the users to share their interests and preferences, automatically retrieves their location, department,designation,etc. and deploys extensive algorithms to find you a peer with similar interests and goals! 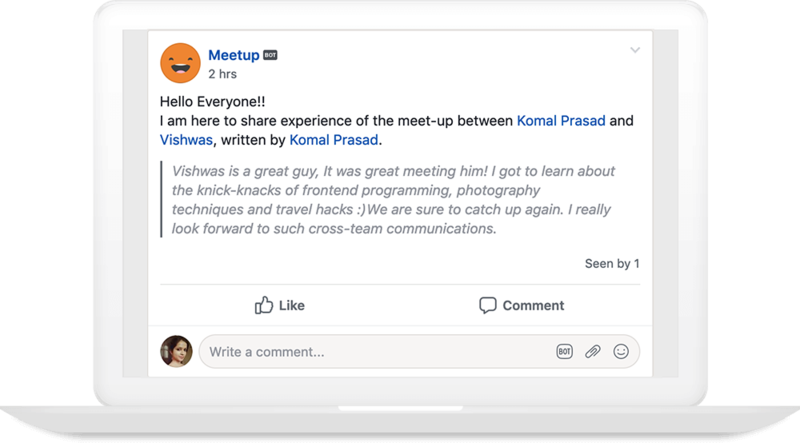 Meetup bot ensures and facilitates engaging and productive conversations, allowing people across teams to discover colleagues with shared goals within their office spaces(or across other locales). It paves the way for effective learning, mentoring, and cross-department knowledge exchange. Ever wondered about the workflows in other departments? Why not gain a first-hand insight into how things take a roll in other teams? 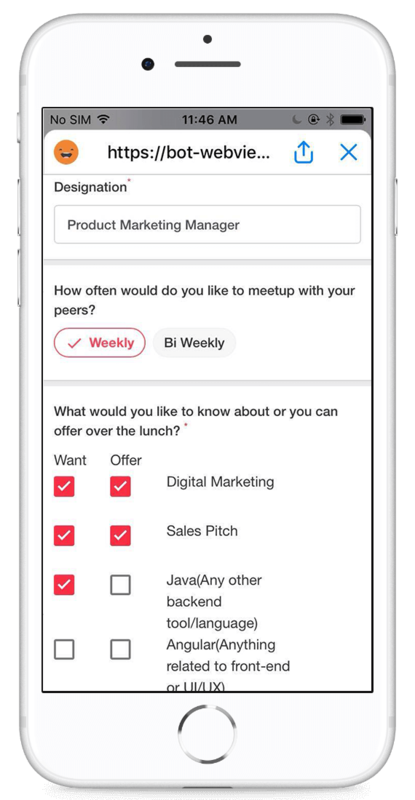 Meetup gives you an opportunity to find peers across departments or domains! Learn something new, deliver your expertise and build a powerful engaging network within your company. Why not connect better to your organisation's spirit? 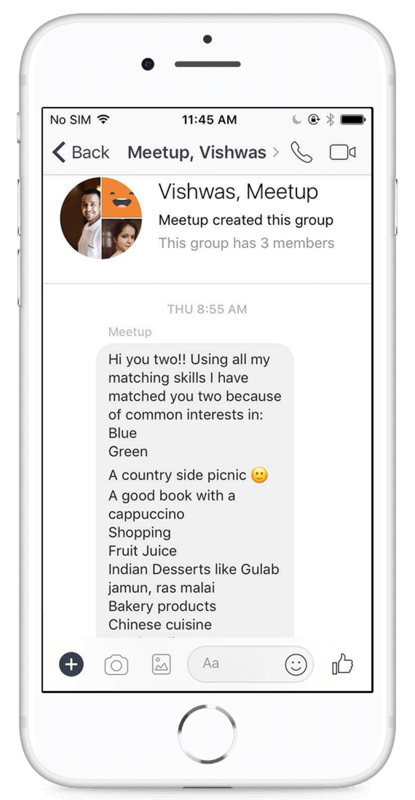 Meetup gives employees to engage with colleagues across hierarchy differences! It channels better team communications and an opportunity to revisit and strengthen your own network!